In time for the Year for Priests, Redemptorist Father Dennis Billy has published a new book on the Eucharist. The Beauty of the Eucharist: Voices from the Church Fathers explores the thoughts and teachings about the Eucharist from some of the Church’s earliest writers. Father Billy will present his book Oct. 27 at 7 p.m. in the Ryan Memorial Library (lower level) at St. Charles Borromeo Seminary in Wynnewood, PA.
Father Billy holds the John Cardinal Krol Chair of Moral Theology at St. Charles Seminary, and is the author of numerous theological and spiritual books. 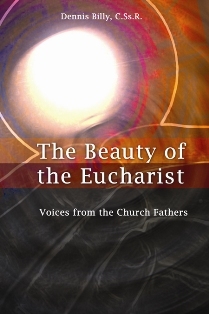 The Beauty of the Eucharist: Voices from the Church Fathers is available at www.newcitypress.com or by calling 1-800-462-5980.